The most difficult step in establishing your web presence is knowing where to begin. Let us guide you! Let us help bring your ideas to the web! With fifteen years of experience in creating custom web solutions, we can help you avoid pitfalls while developing a sound strategy for creating your online business presence. We take great pride in not only guiding businesses with solid advice for creating their website, but implementing and developing the technology for them. Our focus is providing you professional, high quality, and affordable development. 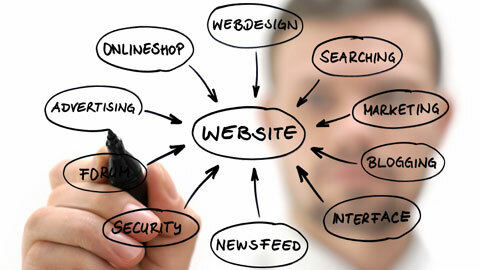 We can create a new site or redesign your existing site to help your customers find you more quickly and easily. By analyzing your sites content and structure we can provide feedback that puts your site ahead of your competitors. We can provide hosting of your web solutions, as well as installation and configuration of many popular software packages such as WordPress and Joomla. Our experts also handle corporate email such as Microsoft Exchange or Google Apps. Hansen Web Consulting utilizes the newest technologies to ensure we deliver your solution as quickly and effectively as possible. We choose technologies that fit your business needs to ensure your investment is reliable and extendible for years to come. We are well versed in working with the technologies that make the web move, we can provide configuration and setup for a myriad of platforms and applications. The Focus! 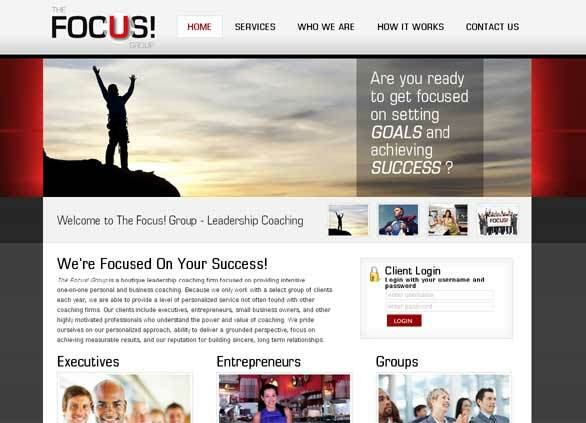 Group is a boutique leadership coaching firm focused on providing intensive one-on-one personal and business coaching that came to us looking for a new website and customized document management system.